Deco Party UK offers an original range of party decorations. You will find about 20 different party themes with designs created by ourselves and so you only can buy on our unique party supplies online. Do you need theme decoration ideas for any occasion? We supply our theme decoration for parties, most popular are western, Hawaiien, 70s theme party, 80s theme party, fiesta theme party supplies, casino theme party, Pirate theme party decoration, Italian theme party, music theme decoration ideas, Oriental theme party, Cuban theme party, Spanish theme party , German theme party, French theme party, Greek theme party, Hollywood theme party, medieval party decorations and of course British theme party. High quality paper and plastic bunting, banner, flagline, hanging spiral decoration, cutouts, confetti, eveything to have your finish touch in your themed parties, event, celebration, room decoration... . All decorations for each theme party, so all styles to give success to your party or shop decoration! Best range of Party Decorations in the UK. All our range of Party Decoration is created by ourselves so unique products only for yourself ! Made in France in our factory. Our Gorgeous Mexican Decorations are made in France and all creation are made by Deco Party UK. Ideal decoration for Tex Mex Restaurants, private party and all occasions. Our original TexMex Decoration are bunting, hanging swirl decoration, confetti, cutouts. Hawaiien Party Decorations, we offer a great and original Hawai party decoration collection. Hawaiien Bunting, Aloha Cutout, Hawaiien Hanging Swirls, you will find high quality Hawaii party supplies at very cheap prices. 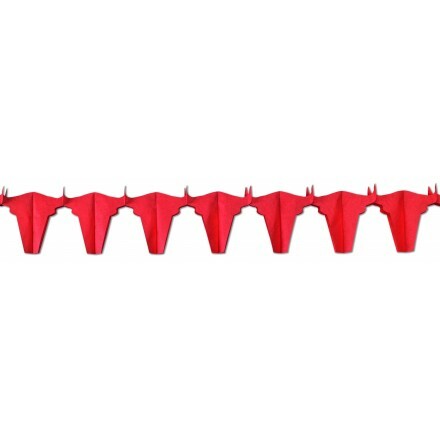 Best Western Theme Party - Find a great range of Western Party Supplies. 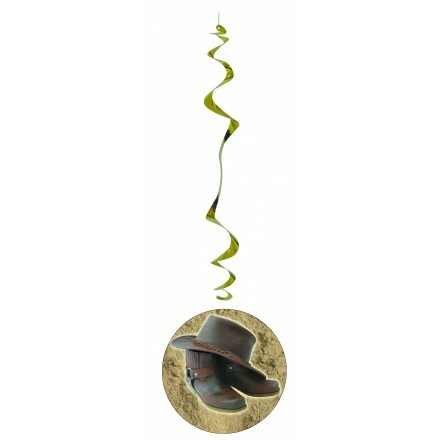 Western Party Decorations give you banners, hanging swirl decorations, bunting, confetti, cutouts to get a wonderful Wild West party decoration. Designs with Cow-Boys, Horses, Monument Valley, Far West Freight Depot, Train, Saloon and much more are created by Deco Party UK. For professional party decorations we have supplied Western Party Decorations in Flame-retardant quality. 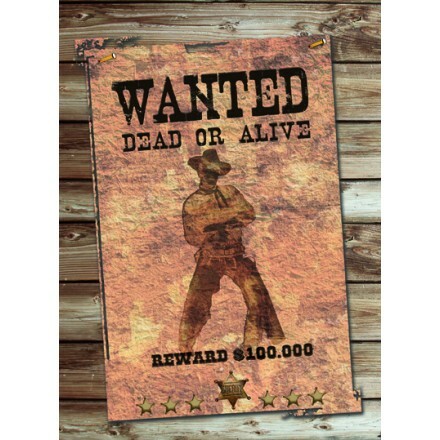 Deco Party UK has supplied an original range of wild west party decorations. Do you need any country western party decoration ideas? We created special designs by ourselves to get a wonderful cowboy theme party decoration. 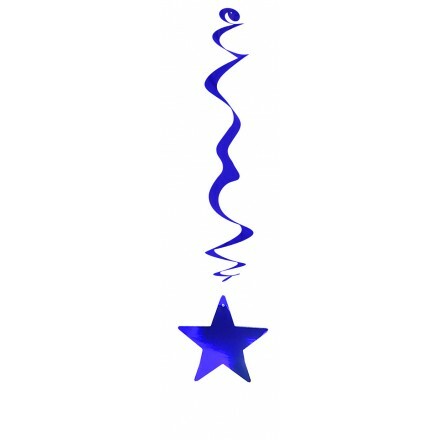 For a magic room decorating, buy online our cowboy banner, American flag bunting, American hand held flags, American flag confetti, American small flags, Far West hanging swirls, honeycomb Western Party Decorations, western cardboard cutout, outdoor flags pennant banners unicolored, bicolored and tricolored. Great and original party decorations for 70s night parties. All designs are made by our party studio here in France and all items and made in France as well for a French touch while your event. You can choose among bunting, cutouts, foil hanging swirls, confetti and so you can use to decorate your home, your table or your garden. Pubs and restaurants also use these decorations for New Year's Day decorations as you can easilly combine with music, disco, New Year's Day and baby shower. Deco Party UK offers a great range of Las Vegas Party supplies, especially room decorations. Vegas PArty give you banners, cutout, confetti, to get a wonderful and original table decoration, room decorating. We offer some Las Vegas bunting in flame-resistant quality to decorate professional as Pubs, Restaurants, Night clubs, Bars and much more! Deco Party UK offers a nice range of pirate party supplies, especially room decorating and table decorating. You can decorate your table with our pirate confetti, hang from the wall or for your garden party our original pirate bunting and banners and use our pirate cocktail flags with your sandwiches. You would like to do a Caribbean Pirate Party buy our great Caribbean Pirate Party Decorations. All for kids birthday, baby shower and every occasion. We have made pirate bunting in flame-resistant paper to decorate Pubs, restaurants, night clubs, hotels and much more! quality and choice in the UK and in Ireland market. 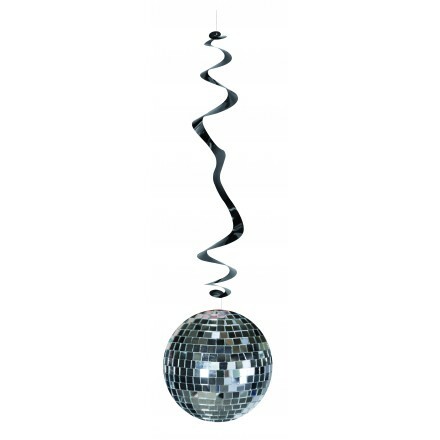 Deco Party UK offers popular German party decoration for every occasion. You can find German flag bunting, German cocktail picks, German handwavers, German flag confetti, honeycomb garland black red yellow, confetti canon. 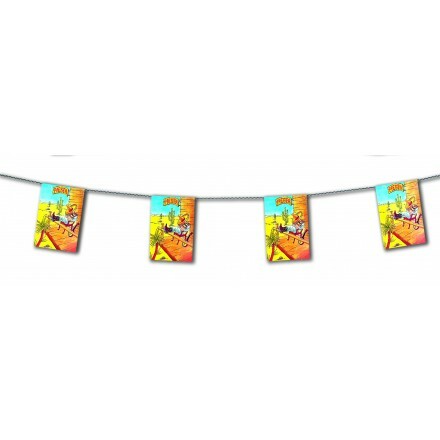 Find Beerfest banner as well to complete original range of party decorations. Our Gorgeous Italian Decoration are made in France and all creation are made by Deco Party UK. Ideal Decorations for Pizza restaurants, Italian Restaurants, Pizzeria all occasions! Our original Italian Decorations are supplied as Bunting, Flags, Handwavers, Cocktail Picks, Cutouts, Hanging Swirls, Confetti, all Decorations to decorate rooms or the table. 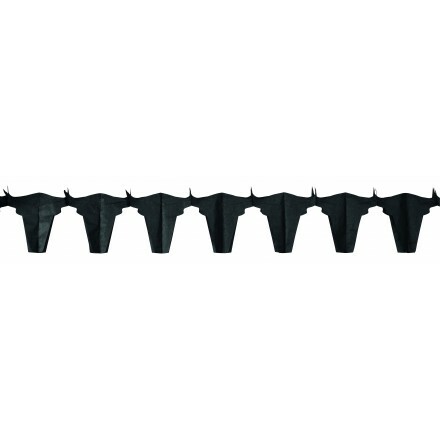 USA plastic flag bunting 17ft/5m 10 flags 8x12inch/20x30cm or 33ft/10m lengths 20 flags 8x12inch/20x30cm. 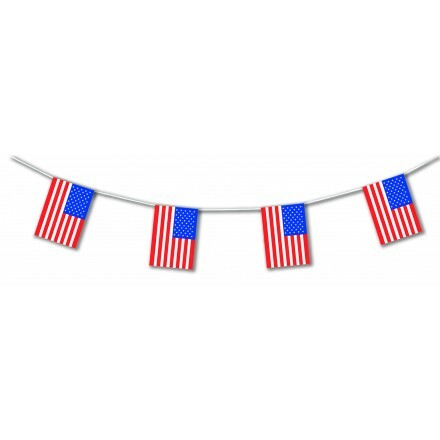 Ideal for Indenpance Day Patriotic Party Decorations, Western and Far West American Party Decoration, United States Banner. This American Bunting Flags is very high quality for indoor or outdoor use. 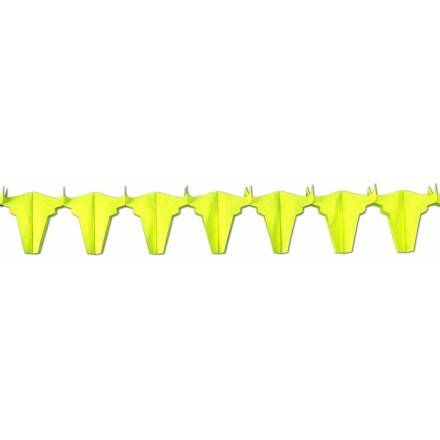 Great Party Supply. Enjoy our unique wild west party decorations. Very popular in the UK you will find our great cowboy bunting to get a wonderful decoration for cowboy theme party, also our Wanted cutout. Do you want other western decoration ideas? 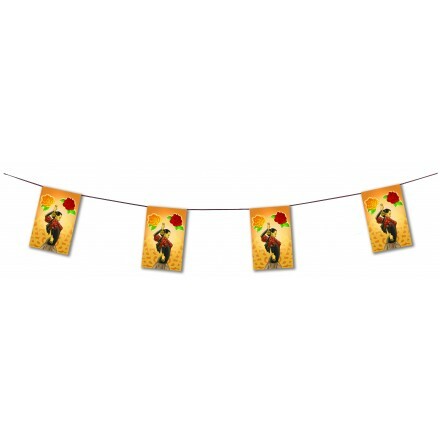 You can buy online our western hanging swirls, our Far West and Village western banners, our honeycomb western garlands all for a western theme decoration. Then you can add patriotic American bunting flags, American handwavers, American cocktail sticks and American flag confetti for table decoration. Deco Party UK is the leader supplier of 70s party decorations and 80s theme decorations ideas. With its creations and original designs, Hotels, Pubs, Restaurants, Night Clubs and much more will be able to decorate with flame-retardant disco bunting, flame-resistant disco hanging swirls. We also supply items without any flameproof treatment at lower prices, so items for every occasions and every budget. 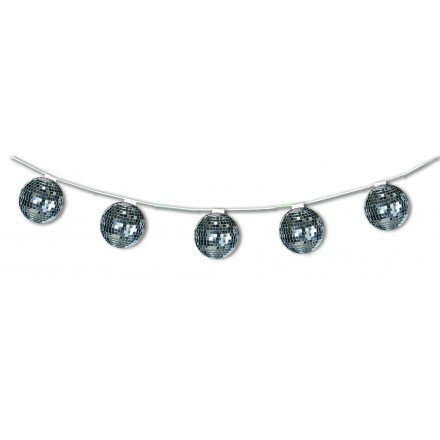 Our disco home décor are disco ball bunting, rock n’ roll banners, vinyl hanging swirls and for disco table decoration you can see our disco ball confetti and vinyl confetti. To give a metallic effect you also can buy our foil tassels so an electric party! Do you need tropical party decorations for your private party? We offer nice range of Hawaiien party supplies. Original fruits banner, Sea garland, Hawaii Isle bunting, Aloha Cutout, beach hanging swirl decorations, you can find different luau party decorations for a very low price. Are you looking for fiesta party ideas? 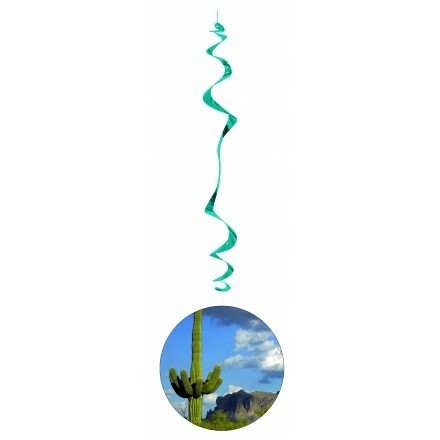 Deco Party UK offers original Mexican decorations with our own designs : Bunting with Mexican fiesta decorations, banners with cactus and Mexican desert, honeycomb green and white fans and balls and cactus hanging swirls. Ideal for Mexican restaurants as Tex-Mex, but also for any occasions. 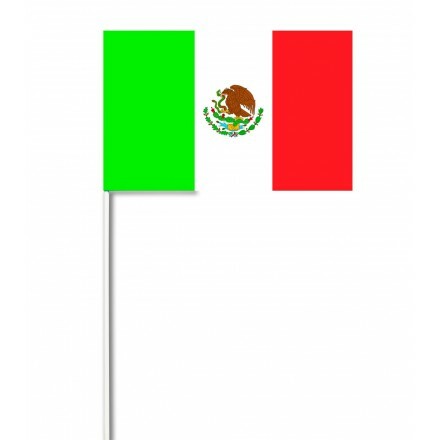 Of course we make and supply Mexican flag bunting, Mexican Handwavers, Mexican flag confetti and Mexican cocktail sticks. Need any casino party ideas ? Find our Vegas Party Decorations for a great private party. Also for casino room decoration our bunting flags and metallic hanging swirls are flame-retardant. For table decoration you will appreciate our casino confetti. Give your finish touch with our themed Hollywood party supplies. Want to be a VIP while your party, our Hollywood party decorations will add a glamour touch while your event and any occasion. With our VIP bunting and VIP table confetti, movies banner, clap Cutout, stars hanging swirls and much more Hollywood party goods you will enjoy organizing parties and inviting guests. We propose gorgeous Italian decorations with great value and competitive prices. From our classic party decorations as Italian bunting flags, Italian handwavers, Italian cocktail sticks and Italian flag confetti, to our original creations as Colosseum bunting, Pisa Tower banner and Venice flagline, assorted with our cardboard Cutouts, we also supply honeycomb fans, honeycomb balls and honeycomb garlands special treated to be flameproofed with Italian flag colours ( green, white, red ). 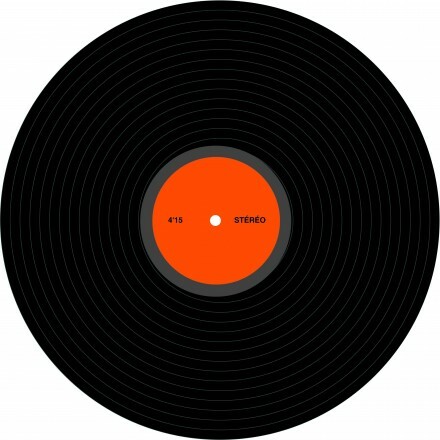 Ideal to decorate pizzeria, Italian restaurants, Pizza express and all European and Patriotic Italian party & events! Look at our Patriotic decoration ideas for Union Jack party decorations, bleu red white colours. Our famous British flag themed decor are suitable for indoor and outdoor use. From paper honeycomb decorations as blue red white fans, balls and garlands, flame-resistant, or our Union Jack bunting flags, Union Jack hanging swirls, Union handwavers and British cocktail sticks, you can also decorate your table with our Union Jack flag confetti. Our British themed party are not only red and white crossed with blue background we also supply pennant banner with one triangle blue, one white and one red. 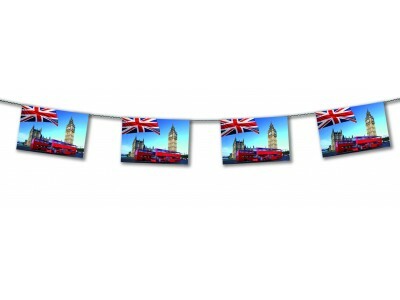 We also can buy online our London themed party decoration as bunting and banners for a wonderful home décor. Enjoy our original medieval party supplies. Deco Party UK offers two different shield Cutouts with yellow Lion and lily flower, one with red background second one with blue background. 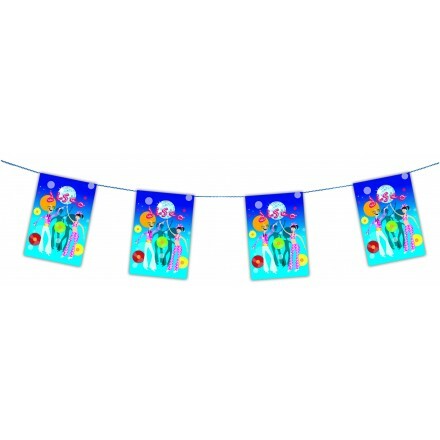 Our cheap medieval party decorations is also available with two medieval banners, 25x50cm, one with red background and second with blue background. Get your finish touch with our brave Knight Bunting flame-retardant paper, a wonderful party decoration. Do you want top quality Cuban party decorations? We supply Cuban flag bunting, Cuban cocktail sticks, an original Cuba Cutout and some Cuban banners with famous and typical Cuban cars or rum cocktail and Cuban cigars you can see all over the country! 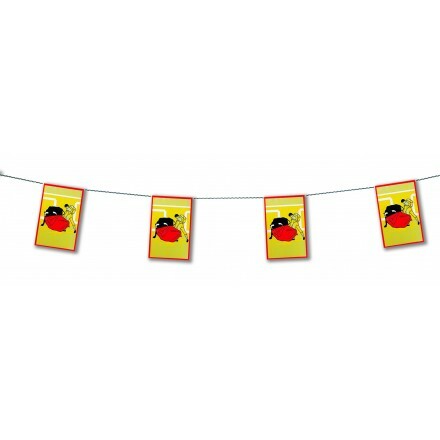 Oriental Party Decorations For this famous party decoration, Deco Party UK offers some oriental bunting and banners and also some oriental Cutouts either to hang for any occasion, your garden party, oriental restaurants and much more! Deco Party UK supply an important choice of Spanish party supplied, red and yellow honeycomb decorations as paper fans, paper balls and paper garland. 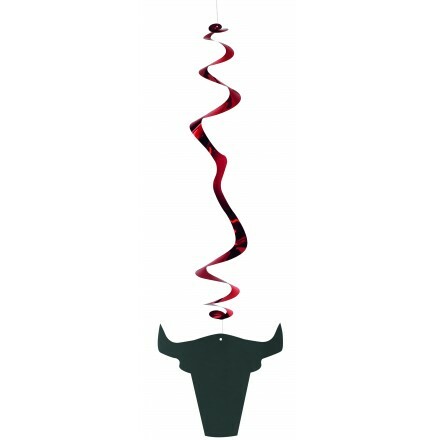 We also produce Spanish bunting flags, Spanish hand-waving flags, Spanish cocktail picks, Spanish flag confetti and original garlands with famous bulls, Flamenco banner and foil tassel in red and gold. 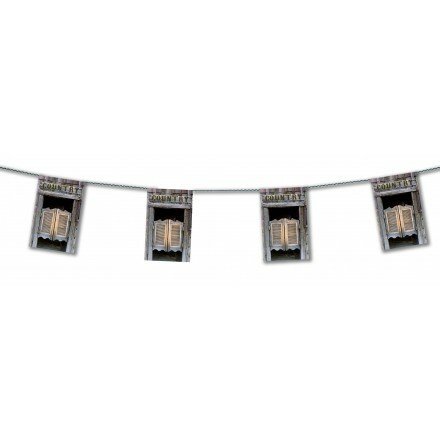 For Patriotic Greek party, buy online our Greek bunting flags, Greek Handwavers or other original creations of Deco Party UK with Acropolis banner or Santorini flagline. Buy online our French Patriotic decorations : blue white red colors, you can find French honeycomb paper balls, paper fans and paper garlands. Deco Party UK supply French bunting flags, French hand-waving flags, France cocktail sticks, French flag hanging swirls and French flag confetti for table decoration. France make very good wine so we propose you some grape bunting with either red grapes or white grapes. Enjoy our Oktoberfest bunting and our high quality honeycomb German decorations, paper garland, paper ball and paper fan. German flag colours are black, red and yellow. We also supply German bunting flags, German hand held flags, finally German cocktail sticks and German flag confetti for table decoration. Deco Party UK is a French party decoration manufacturer, if you would like to buy in bulk and you have been a wholesaler, reseller, retailer in the UK, feel free to contact us and we will offer you special prices.